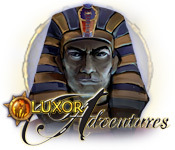 Luxor Adventures is rated 3.9 out of 5 by 10. Rated 5 out of 5 by lozen from fun adventure great fun and challenge. enjoy playing it everyday. grandchildren love it also! Rated 5 out of 5 by pianogrinder from Something for everyone (based on trial) This game has it all. Not only it is HO but has match 3 and puzzles and marble poppoer as well, includes Luxor 3 bonus. This game has everything. from an excellent storyline to nice HO scenes, top notch. I love how some parts of the game are unlocked as you go along, like playing for the hint in the first HO scene. the storyline is awesome and before I could find out what happened next my trial hour was up :( Will certainly be buying this one soon, this one's a keeper. Rated 5 out of 5 by ljb2000 from One of my Faves! Like that you can play multiple games - hidden object, match three, etc. Rated 5 out of 5 by Oedesh from Luxor Adventures (5)!!!!!!!!!!!!! I LOVED the game thanx bigfishgames and mumbojumbo!!!!! A great mixture of Hidden Object, Match-3 and Marble Popper!!!!!!!!!!!!!!!!! LOVED IT!!!!!!!!!!! Rated 4 out of 5 by mrm2006 from WOW! 2 Games for the Price of 1!!!!! This is a bundle pack. I was thoroughly disappointed in this first game and thoroughly delighted with the second - go figure. The first game was Luxor Adventures: Graphics: Horrible - probably hand-drawn Sound: Was there any? Storyline: Plain and simple - I suppose. 3 people from 3 different time periods (it appeared to be 1930's, 1950's and 1980's) just show up together at an archeological dig. They do not seem surprised that they are together or inquisitive as to how they all got there. THAT would have made a great storyline. Other than that, here we are and let's do some HOGs, I didn't get the game at all. HOGs - Ugh. So many items, so MANY, and thrown into the color scheme (tannish) or so very tiny, it was virtually impossible to find anything. There is no hint button, no menu button, no journal, nothing. I had to exit the game by using Task Manager. This Glam-ma was totally unimpressed with Luxor Adventures and could not in good conscience recommend it to anyone; however, having said that we have: Luxor 3: Graphics: Amazing color, bright, you could clearly pick out each color of ball. And when the fireworks went off - bombs exploding, it was a magnificent sight to see. Sound: I apologize, I'm a grandma who has learned to tune things out but I'm pretty sure I enjoyed the music. I hated that the music sped up when you near the "danger zone" - added a lot of stress - lol. Storyline: I missed the beginning of the storyline so I apologize for that. However, periodically you will get pieces of the story written out for you. PAY ATTENTION: In those few sentences are clues for the following game play. Gameplay: WOW, WOW and more WOW! This is truly an amazing game. You need to shoot a colored ball into a fast-moving string of colored balls to get 3 or more in a row. That's the general premise of the game play. Now, extras. There are little bugs that pop up spinning around - shoot them with one of your colored balls (if you can get to them) and get bonuses or coins. There are also bonus levels where you can earn bonuses or coins. Bonuses are things such as "stop", "slow: and "reverse". This is just a small inkling of the many bombs you can earn. You can also buy bombs and upgrades to said bombs in the store with coins you have earned in the game play. Obviously, my overall rating, etc. is based on the 2nd game - Luxor 3. I have played shooter games before. I am fairly good at those types of game. They just have never been my favorite kind of game. However, having said that, I so thoroughly enjoyed Luxor 3 I hated it when it ended and immediately downloaded every Luxor game on the BF site so I could pick and choose which one(s) I was going to purchase. Yeah - it was THAT good. It is also a very fast-moving game and requires good eye/hand coordination. This Glam-ma loved this game and hopes you will too. 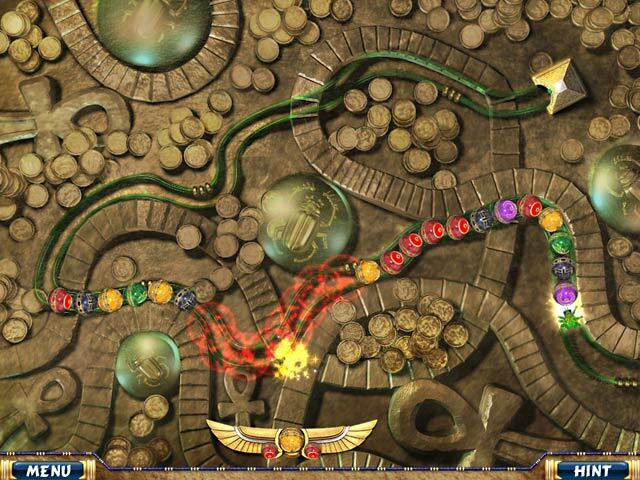 Maybe you'll enjoy Luxor Adventures as well and get a great deal - 2 games for one. I just don't want computer space eaten up by a game I'm not going to play. Please try it before you buy it - Happy Gaming. 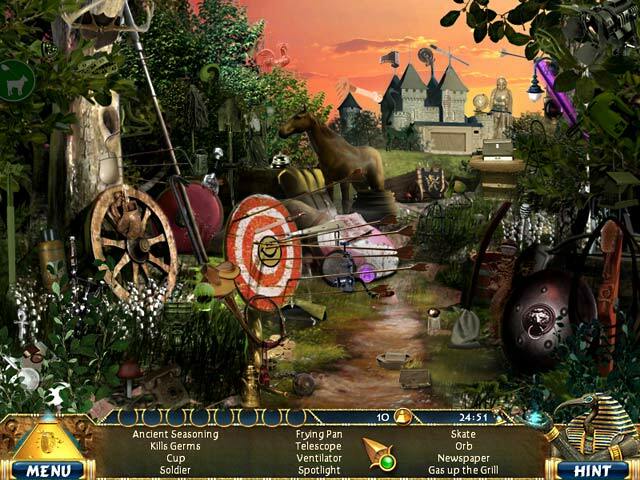 Rated 3 out of 5 by sereneorchid from Hidden objects can be really hidden Wasn't thrilled with the hidden object scenes. Many objects were small and didn't really look like anything. In spite of other high ratings, this game just didn't have much to appeal to me. Rated 2 out of 5 by arnold1049 from Marble popper games are not for me. When I purchased this game, which also included Luxor 3, I did not realize that these were marble popper games. Didn't do my research. I was enjoying the Adventure game until I ran into a marble popper that I couldn't finish. I'm just not fast enough. I wish I could have skipped the mini game and continued playing the Adventure version, but that option was not available. So marble popper players will probably really like these games. Rated 2 out of 5 by kz33am from Not the best I was so excited to play this but I was sadly disappointed. 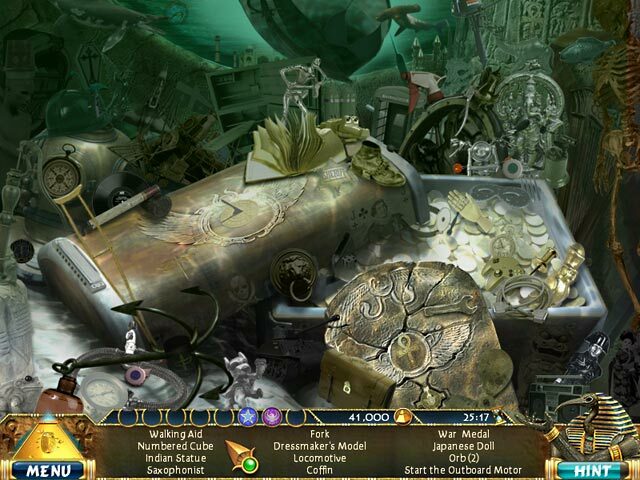 There were far too many hidden object scenes that were tedious and boring. When you finally are able to play Luxor, it's nothing special or different and is over far too quickly.